Welcome to OUTDOOR SECURITY SYSTEMS , specialists in innovative electrical fencing and gate motor solutions. 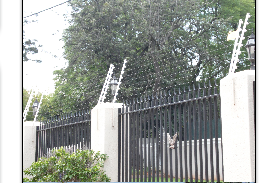 Welcome to OUTDOOR SECURITY SYSTEMS	, specialists in innovative electrical fencing and gate motor solutions. 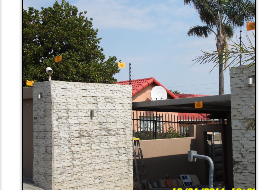 Established in 1992 in Germiston, Gauteng, we install, maintain and repair expert systems that secure property by triggering an alarm before the conventional house or building alarm is activated. 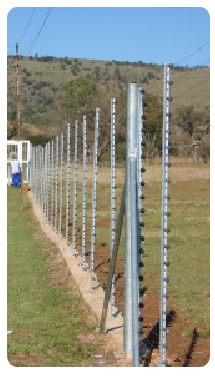 OUTDOOR SECURITY SYSTEMS has successfully fitted numerous electric fences to highly satisfied customers that include large corporates such as ACSA, Anglo American, Insurance Zone head office, Mutual & Federal Insurance head office and the Gauteng Legislature, individual residential homeowners, small and medium enterprises and the general commercial and industrial markets including farms and game farms. 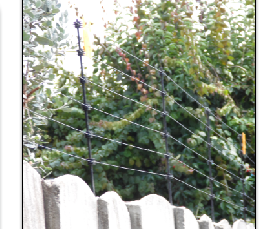 We use the renowned Nemtek electric fencing products range that has revolutionised pre-emptive security systems in a variety of settings, and aluminium solid wire with its low electrical resistance and high anti-corrosion qualities. OUTDOOR SECURITY also install, repair and service CENTURION gate motors and intercom systems. We refurbish motors, do upgrades and supply replacement remote controls. Installations and repairs are carried out professionally according to manufacturer's specifications. 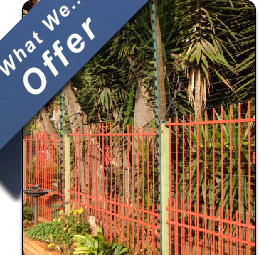 With more than 20 years of experience on the specialised fencing and gate motor security industry OUTDOOR SECURITY SYSTEMS comply with the highest accredited quality standards. Nemtek and Centurion are both SABS accredited, among others. We strive to be the best in our industry, deliver quality service, and maintain an outstanding relationship with our customers. We work hard. Therefore our quality of service delivery is of the best. We believe that honest hard work will always come out on top.